The starting point of the 1977 conversations was how Catholics and Evangelicals serve the same mission of evangelizing, drawing people to God, using different approaches but serving the same call. The term evangelical can be confusing sometimes as different meanings are attached to the word. In Europe evangelical refers to Lutherans to distinguish them from the Reformed or Calvinist; in the United States the term refers to a range of conservative churches including Pentecostal, Reformed, Holiness, Anabaptist, Charismatic, and others. A student who was taking an ecumenism course with me once asked about evangelical and what the term really meant: “Aren’t all Christians, Catholics included, called to be evangelical? Aren’t all Christians committed to spreading the Gospel?” The questions led a to lively class discussion about why this term refers specifically to Evangelicals when Catholics are, in fact, evangelicals. A few students shared their experiences with Saint Paul’s Outreach and FOCUS, which are active and evangelizing groups on campus. 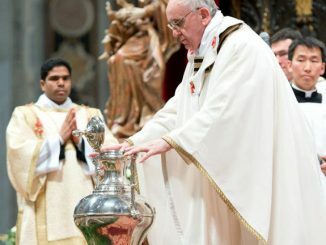 The conclusion reached by these millennials was that being evangelical or active in mission—go into all the world and “preach the gospel to all creation” (Mk 16:15)—is a point of unity between Catholics and Evangelicals as they are both called to evangelize and give testimony in what St. John Paul II called in Redemptoris Missio (1990) a “springtime for the Gospel.” I realized that my students had hit the nail on the head! This year is the fortieth anniversary of the first (Venice, Italy 1977) of three consecutive meetings between Evangelicals and Roman Catholics (Cambridge-England 1982, and Landévennec-France in April 1984). 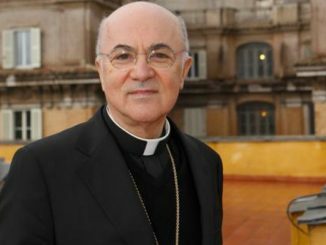 The meetings, sponsored by the Vatican’s Secretariat for Promoting Christian Unity, produced Evangelical-Roman Catholic Dialogue on Mission (ERCDM), an important document recording the start of dialogue between Catholics and Evangelicals. Although the document is not an official statement by the Catholics and Evangelicals there is good reason to commemorate and celebrate the first encounter in 1977. The three consecutive meetings (1977-1984) marked the start of a new era in Evangelical-Catholic dialogue. The conversations were signs of a nascent ecumenism between Catholics and Evangelicals. In the list of the meetings’ participants, one can notice some distinguished scholars on both sides. Moreover, the participants were professionally trained theologians and missiologists coming from different parts of the world who authentically presented their faith from within. This was the start of Evangelical-Roman Catholic ecumenical journey towards Ut unum sint. The starting point of the 1977 conversations was mission and how Catholics and Evangelicals serve the same mission of evangelizing, drawing people to God, using different approaches but serving the same call. The intention to begin with what unites—evangelizing—rather than the differences was an excellent starting point for dialogue. The hot buttons which separate Catholics and Evangelicals were treated by putting them in the service of mission. From the first encounters, participants regretted differences which undermined the Christian witness of the Gospel. Additionally, the document pointed out that differences between Catholics and Evangelicals over ecclesiology, sacramentalism, the papacy, Scripture and Tradition, Eucharist and the Real Presence, the Virgin Mary and other issues were still divisive, but the participants discussed the theological differences in the spirit of Gospel truth. The participants realized that perhaps the areas of agreement on Revelation, the unique natures of Christ, and the Trinitarian roots of mission between Evangelicals and Catholics outweighed disagreements. The ERCDM document concluded on a positive note that “every possible opportunity for common witness should be taken.” Building bridges on commonalities and seeing where the Spirit leads has been the essence of Evangelical-Catholic ecumenical dialogue. The 1977-1984 meetings opened the door to the 1994 document Evangelicals and Catholics Together (ECT), signed by Evangelical and Catholic distinguished scholars and Church leaders. The road to move forward lay wide open. St. John Paul II’s emphasis on doctrine and the Deposit of Faith was met with enthusiasm by Evangelicals, as some doctrinal laxity resulting after Vatican II was a cause for concern for Evangelicals. The second point of agreement UUT brought to the dialogue was the “mutual help in the search for truth” (no. 78) considered to be a “sublime form of evangelical charity” (no. 78), although disagreements between Catholic and Evangelicals still remained. EV brought forth another level of agreement between Catholics and Evangelicals. St. John Paul II explained in EV that for Catholics to be faithful to the Gospel and to the integrity of the human person, who is made in the image of God, required social engagement and advocacy supporting the culture of life. So besides mission and evangelization, EV added social activism and the culture of life to the points of agreement between Catholics and Evangelicals. Pope Benedict XVI, with his sharp and lucid theological insights, continued in the UUT tradition. Christian Witness in a Multi-Religious World (2011), co-authored and signed by the Catholic Church, the World Evangelical Alliance, and the World Council of Churches, follows the principles of common witness and common heritage as a basis for ecumenical dialogue. Moreover, Bergoglio seated at the same table—himself in the middle, the Jewish rabbi Abraham Skorka and Protestant minister Marcelo Figueroa, a pastor of the Presbyterian Church, co-author of a recent article Evangelical Fundamentalism and Catholic Integralism—for a series of inter-religious conversations broadcasted by Canal 21, the television channel of the archdiocese of Buenos Aires. 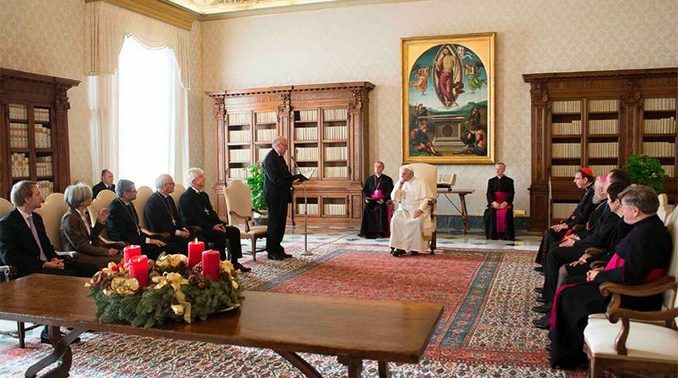 The conversations were later published in a book in Italian by Libreria Editrice Vaticana, the official Vatican Press, with the title: Conversations on the Bible. 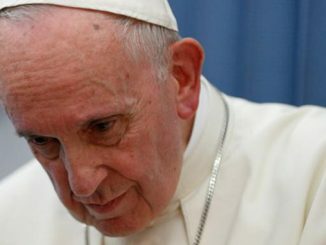 That cycle of conversations was interrupted at its thirty-second episode by Bergoglio’s election to the papacy. The thirty-third episode, which was left unproduced, was going to focus on “friendship,” as Figueroa later explained in the Roman Observer. I dream of a ‘missionary option,’ that is, a missionary impulse capable of transforming everything, so that the Church’s customs, ways of doing things, times and schedules, language and structures can be suitably channeled for the evangelization of today’s world rather than for her self-preservation. There is no such thing as a static ecumenism. It is true that the theologians must study and agree amongst themselves, but this will never have a successful outcome unless we move forward. What can we do now? We must do what is possible: pray together, work together, exercise acts of charity together… But together! This is what it means to move forward. 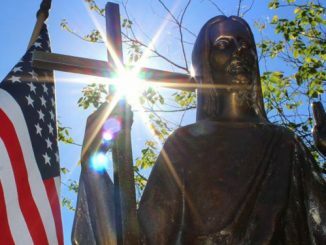 Since the first unofficial meetings beginning forty years ago, in 1977, Evangelicals and Catholics have made progress building on common ground and giving collective testimony on the Christian message. Evangelizing and a call to mission go hand in hand with ecumenism. Through dialogue Evangelicals and Catholics will overcome divides and strive to preserve the unity of the Spirit through the bond of peace (Eph. 4:4-6). Where there is harmony there is victory: Ubi concordia, ibi Victoria—and this is what we all hope will happen.